As an educational leader, I have been asked why I choose not to opt my son out of high-stakes testing. It’s because I don’t care about the tests nor his scores. In fact, I don’t really care about any of the assessments nor grades he’s given in school, high-stakes or otherwise. I care much more about the skills my son is developing and the knowledge he is constructing; and that learning takes place within every aspect of his life (home, school, play, etc.). It simply cannot be measured through any sort of test. As educators, we need to be in the business of facilitating students’ construction of knowledge. This can be done by modeling, guiding, mentoring, and purposively facilitating learning opportunities around critical thinking, problem solving, collaboration, perseverance, exploration, reflection, and other soft skills WITHIN and THROUGH disciplinary content (e.g. social studies, science, health, math, language). Unfortunately, our schools have devolved into places where information memorization is valued over knowledge construction, simply because while students’ retained information can be tested and quantified, their knowledge cannot. Introducing our new Manifesto 15 t-shirt! When Manifesto 15 was released, we celebrated with a short run of t-shirts with the slogan “kids are people, too.” We exhausted our supply quickly, and, this week, we received larger supply of new, screen printed t-shirts. These shirts are gorgeous, printed on 4.2 oz. 100% combed and ringspun cotton. You can get $2 off each shirt ordered between now and March 31, by using the coupon code NEWSHIRT at educationfutures.com/store. Taking the (r)evolution to Latin America! 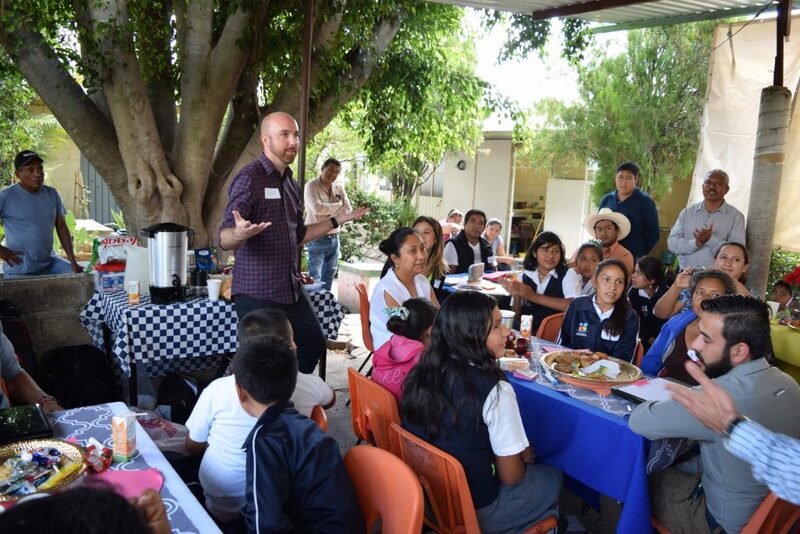 On Saturday, the team led by Mundo Knowmad (Daniel Navarrete from Peru, Angel Jurado from Peru, Ismael Burone from Uruguay, and Gustavo Esteban Andrade from Mexico) announced that the book Knowmad Society has been translated into Spanish as Sociedad Knowmad. The full text is available online at: https://www2.educationfutures.com/sociedadknowmad. I am very pleased that our book, Knowmad Society, has been translated into Spanish. The team behind the translation has taken our wishes for the book to heart: Do not treat it like a book. Make it your own. Highlight the parts you like, tear out the parts that you don’t. Remix it into your own. With new contributions by the project participants, this book has become more relevant for Latin America than ever. For some of us, the ideas we share represent a global revolution. For others, this represents a natural evolution to where we can finally work on what we love and know well – as individuals who are valued for our personal knowledge. The text expands from the original English text by including new chapters by Raquel Roca and Daniel Navarrete, expanding Latin voices of the knowmads movement. Increasingly, people label themselves as knowmads on their CVs, LinkedIn profiles, Facebook, and other media to convey their changing approaches to work. The knowmad movement is not a fad – we are here to stay! This project presents not just the future of work, but a mode of working and actualizing ourselves today. 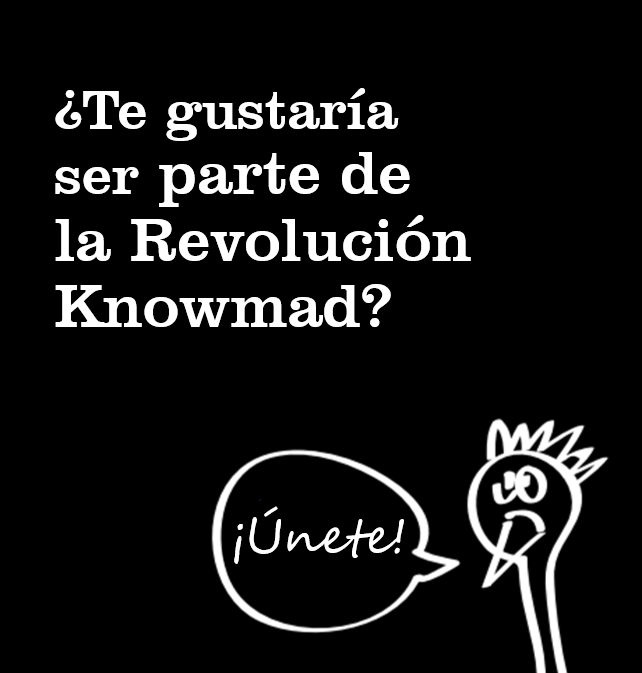 Whether it is a revolution or evolution, welcome to the Knowmad Society! In this expanded volume, eleven authors from three continents, ranging from academics to business leaders, share their visions for the future of learning and work. Educational and organizational implications are uncovered, experiences are shared, and the contributors explore what it’s going to take for individuals, organizations, and nations to succeed in Knowmad Society. Read Sociedad Knowmad at https://www2.educationfutures.com/sociedadknowmad. The original, English edition is available online at https://www2.educationfutures.com/knowmad. In previous postings over the New Year, I shared my predictions for the upcoming 365 days. It was always a mix of good ol’ prognostication with sprinkles of hope — and sometimes acknowledges the stagnation we experience with the slow pace of educational change. They always reflected progress: the central idea that we are building better futures. “Progress” in that we learn from our mistakes, try new things, and move forward. “Progress” in improving education for all of us. 2017 is different. This is the Year of the Mule. By the Mule, I mean Donald Trump. Fans of Isaac Asimov’s Foundation series will recognize the Mule as an anomaly – a tyrant, warlord, and manipulator. He is a wildcard, pushing unpredictability onto the fate of humanity. I have had a hard time accepting the outcomes of the election in the U.S. I believe it can be argued that nothing is more political than education, and so it came as a big shock to me when Trump and a basket of extreme right-wingers were elected into office. My first reaction was one of denial. Maybe I somehow crossed over in Star Trek’s mirror universe – you know, the one where Spock has an evil goatee. Where everybody is aggressive, mistrustful, and opportunistic. The universe that reflected the worst of what we could become as individuals and as a society1. Surely, I thought, an outcome like this would not be possible in my America. But, it did, and that really upset me. How could this have happened? Why didn’t young people, who should care about their future, come out to vote? What did I do wrong? I was angry and frustrated, especially at myself for not doing better. The election results dropped like an anvil. The presidency is being taken over by a narcissist, truly scary people were elected to Congress, and these people will approve Trump’s picks for his cabinet and the Supreme Court. There’s no room to bargain. This power grab will be swift and absolute. And this makes me sad. It’s not about having ‘my people’ elected to office or having this ‘my way.’ This is about the decades of progress we have accomplished and the fundamental future of our country. I need to face the reality the dream of American Democracy is dead — or at least on hold for a while — in favor of an oligarchy. Donald Trump is appointing the wealthiest cabinet in history: They control more wealth than a third of the country. His nominee for the Secretary of Education, Betsy DeVos, is a billionaire who is hell-bent on dismantling public schools. She advocates for dismantling public education and supports programs that advocate for child labor as service to God. This is not 21st century education. This is not a reflection that we’ve learned from our past. This is not a reflection that the research we’ve conducted over the years have any value. This is a rollback to the 19th century. It’s going to be rough for at least the next four years. Especially for those of us that work in or with our public schools. I want to be able to say, “it’s going to be okay.” But, I am having a hard time convincing myself. The territory we are entering is truly unknown — and not in a good way. In the hands of a narcissist, who indignantly chooses to go to war against a Broadway musical and a late night entertainment program instead of working on real issues, I cannot imagine how bad this real-life episode of Celebrity Apprentice will get. The Year of the Mule will be frightfully unpredictable. With top leadership driven by narcissism, distrust of science, greed, and paranoia, hidden under a veil of nationalism, we can only fear for the worst for public education. We will continue to create quality research. We will continue to have bold conversations. We will continue to share what we’ve learned. We will work twice as hard to ensure better education futures for all. We will continue to develop new approaches to research, organizational planning, and building a collective capacity to transform learning. We will advocate for all kids.